Awele Iribhogbe: What does renewable energy (RE) mean? Femi Anjorin: Renewable energy is sourced from replaceable natural resources like wind, sun, feedstock and water. Unlike fossil sources, it a cleaner source of energy because it is environmentally friendly. Because of the high expense involved in generating electricity from REs, developed nations like the UK and USA provide a lot of subsidies to encourage its production and commercialization. Temitope Adeyinka: Renewable energy is energy derived from sources that quickly replenish themselves and can be used again and again. As far as Nigeria is concerned, I don’t think the economics support the development of renewable energy on large utility scales. Renewable subsidies are massive in all the countries that currently use them, which I don’t think Nigeria can afford that right now considering several other priorities. Small and specific off-grid interventions in rural areas, for instance, are where renewables will probably be useful. Victoria Ibezim-Ohaeri It is true that renewable energy is supported by massive subsidies in most western countries, but those subsidies yield great benefits in the sense that additional megawatts of power are added to the energy mix, thereby enhancing the reliability of electricity services. The problem with Nigeria is not that the economics does not support the development of renewable energy on large utility scales, but rather, the freeloading model of governance operated in country encourages states to parasitically depend on other states for their existence. New Mexico, a state in the United States, provides electricity services to other bigger states like California and Arizona, and the excess electricity they sell to their neighbours is totally generated from renewable energy sources. There are states in Nigeria with far greater renewable energy potentials than New Mexico, but the overdependence on oil revenues asphyxiates the creativity and innovation needed to heighten energy generation and wealth creation. The federal government has paid marketers N350bn ($1,758,793,970) in December 2014 and another N31bn ($155,778,894) in foreign exchange differentials, with plans to pay an additional N156bn; of which N100bn ($502,512,563) in the IOUs have already been issued with interest rate differentials of N56bn ($281,407,035). This is just the amount spent on petrol subsidies in just a quarter. This evinces that Nigeria still heavily subsidizes fuel petrol, and the humongous subsidy payments have hardly bolstered electricity generation, and added nothing to the energy mix. Should this same amount of subsidy be channeled towards the development of renewable energy, we would at least have had distributed (off-grid) energy to offset a portion of the electric load for the poor, including local consumers in the rural areas. There is no doubt that this is a better alternative to sinking petro-subsidies into private pockets for the benefit of a few. On the other hand, cash transfers schemes (including the recent one sourced from subsidy savings) implemented by successive administrations have always been riddled with corruption. So, what is the better approach? Is it to continue to apply subsidy savings on schemes that entrench corruption, or on initiatives that have great potentials to expand the access of the populations to alternative energy sources? This is a question we must answer. Chris Ero: Countries that do not have the amount of land and sunlight as much as Nigeria does are making use of solar energy as an alternative energy source. There is no reason Nigeria shouldn’t do same. This popular slogan – the earth is warming up – has been around for years. The silver lining in that is that we can harness all that (solar) energy to light up our cities. Rwanda has credible examples to copy from. Countries like Belgium are producing so much energy from wind farms. Therefore, Nigeria must devise a number of power generation methods to meet local demand for electricity. Nigeria is a large country with varying geographic features, so, each geographic area may need a different method of power generation (according to their topography). Kenneth E Aidelojie: Its high time Nigeria recognized that moving away from the dependence on fossil fuel is long overdue. Renewables and clean technologies need to take their place in our national energy mix. Using the right policy initiatives and incentives are crucial to achieving this. Policies that promote research and development of renewable and clean technologies must be in the forefront of the energy policy initiatives of this incoming government. There is the concept in energy policy called “energy mix” and the fundamental principle of energy diversification in energy policy is aimed at ensuring energy security. In developing energy policy, it is no more a strategic policy move to think of different energy sources in linear form, but rather as complementary and mutually-efficient means of achieving the singular goal of energy security. The proportion of contribution each energy source makes to the whole mix does not have to be equal, but it should show intent of progression towards clean energy over a period of time. Fossil fuels can be of higher proportion in the mix as is the case in most countries, including the developed ones. However, the growth rate of clean energy industry and its product could be enhanced by the policy framework that the government pursues. That should be our proposal for obvious reasons, with particular consideration given to global warming and climate change concerns. Anulika Nonye: Let’s talk about sustainability. How sustainable is renewable energy? Ibrahim Abu Our priority should be to have energy first before exploring the advantages derived from RE sources. We have massive coal deposits and gas reserves which can generate electricity relatively quickly. We can then start considering renewable energy after we have fully explored them. RE sources such as solar, wind and tidal waves produce little energy at high costs. Considering the enormous amount of energy needed to guarantee reliability of electricity services, the most viable sources of energy for now will be coal, gas and hydro. RE has little role to play in this regard. These are initial concerns that must be addressed before we can engage the discussion on energy security and sustainability. Our emphasis should be on where we can get energy quickly. That is why the gas-fired power plants were attractive to previous governments in Nigeria. Solar is far more expensive to set-up than natural gas, and the technology is still developing. In theory, we could generate electricity from solar power from the far-north (part of Nigeria) in light of the long hours of sunshine, but that requires major investments which are not likely to be available for now. We could do a feasibility study on copying a solar energy project planned for the Sahara (by Siemens to supply power to Europe that has been abandoned). 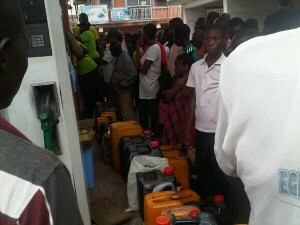 But I don’t see bio-fuel working for now until we have some food sufficiency in Nigeria. Power from tidal waves is far-fetched and expensive! Ultimately, the energy mix must be diversified, but on the short-term, only gas-fired and hydro appear to be feasible. On the medium term, we may have coal-fired and on the long-term, we can do solar and biofuels after our technical know-how improves. Victoria Ibezim-Ohaeri: No doubt, fossil fuels are cheaper energy sources, and are often considered first, before exploring the possibilities that renewables can offer. Solar energy requires a lot of investments just the same way gas-fired plants and pipelines need a lot of financial resources to install and sustain. It must also be borne in mind that fuel scarcity is a perennial problem in Nigeria, worsening electricity shortages given that majority of citizens depend on fuel as an alternative energy source. Further aggravating the situation is that Nigeria is wholly dependent on fossil fuels, which means that electricity generation equally suffers severe setbacks during periods of fuel scarcity. Had there been renewable energy sources contributing significantly to the national energy mix, this will provide an alternative energy source to citizens, and significantly reduce the pains Nigerians go through in times of fuel scarcity. In terms of sustainability, fuel subsidy deepens the dependence on fossil fuels, and diverts investments away from alternative energy sources that could significant add to the energy mix. Without alternative energy sources, fuel scarcity will continue to have this crippling effect on the economy. In most western countries, should there be fuel scarcity, it would not severely affect electricity generation because they could easily switch to nuclear energy or renewable energy. At every point in time, there are alternatives, and this is what has consistently been lacking in Nigeria. What this means in essence is that to reduce waste and diversify Nigeria’s monolithic fuel economy, it is economically advantageous to channel subsidy savings towards the development of alternative fuels, and that is where renewable energy sources come in. Nobody has said that renewables should completely displace fossil fuels. No country in the world has achieved that feat, and it is unlikely any country would do so anytime soon. Kenneth E Aidelojie: I strongly argue that biofuel or biomass should not be considered a renewable if the definition of renewable is premised on infinite self-regeneration. The argument in support of renewable energy is not and should not be for an immediate takeover of the main energy sources because the RE technologies are still in their infancy relative to that of fossil fuel. The point should be having policies and programmes in place that aim to harness the potential and bring it in line with at least the global levels and hopefully contribute significantly to the national energy mix. Solar energy, in most subSaharan countries, is inefficient due to poor policy and infrastructural designs. They still use methods and technology that are inadequate to overcome tough weather conditions. For example, humidity and dust reduce the coefficient performance of the solar cells, making it difficult to generate the maximum output of energy it would normally give in temperate regions. All these need to be considered in advocating for the most profitable type of renewable source. I think if we really want to be enviro-friendly and energy sustainable, we should invest more in our hydrodams to generate electricity. If our dams are brought back to their pre-80s capacity, we will have enough energy to achieve the economic growth that can serve as the bases for further development. Investing in gas-powered facilities is a good strategy for expanding energy access, and the advantage they have over RE is that it is financially irresponsible to leave the already-available facilities and start building on new technologies. The argument for more investment in gas-fired facilities is very profound, and in fact, should be a top priority initiative if we are concerned about the environmental impact of gas flaring. I am also thinking about the cost implications considering the falling oil prices and poor state of the Nigerian economy. Wole Akala There are some solutions that should be considered as low-hanging fruits, and as such, need to be achieved before we embrace renewable energy. Coal, though not popular again because of its high pollution capacity needs to be used as a stopgap measure. Gas is more available, though limited infrastructure and poor logistics might hinder its deployment, but it remains the way to go. There are other fundamental issues like transmission and distribution that still have to be addressed comprehensively or else generation will be ineffective. Corruption is still the main issue hindering the government from achieving a noticeable impact in this area. Oladipo Olagunoye There are tons of ways we can generate energy through renewable sources. For instance, Nigeria has photovoltaic algea in abundance, and this is a source of biofuel, but does not compete with food production. Organic photovoltaic has become so cheap that it can be mass-produced. We also have wind, tidal waves and so forth, but the technology and infrastructures are lacking. So, the problem with RE development in Nigeria is not just the issue of lack of resources and infrastructure but also the technical knowhow. Temitope Adeyinka We cannot afford the luxury of renewable energy for now as far as quick fixes are concerned. Again, the economics don’t support renewable energy on a utility scale. You cannot compare the level of subsidy you will require for renewables with the subsidy on petroleum products if you’re talking about the same scale of consumption or energy equivalence. In the US’ solar energy industry, despite the tax incentives and subsidies, utility-scale solar is still not competitive with traditional electricity in the major solar installations. Secondly, renewables cannot contribute significantly to Nigeria’s energy mix for now. Renewables are not yet contributing significantly to the energy mix in the foremost western and Asian countries yet. Renewables contribute less than 3% to the energy mix in the US; renewables in China’s energy mix is less than 2%. Even Germany that is the poster boy of renewables in the OECD, renewables are less than 10% of the energy mix. I would then think that the place of renewables in the immediate in Nigeria for now is for targeted interventions in rural areas that are not connected to the grid. Of course we can have a long term renewable energy plan for the larger utility scale uses. As for the New Mexico example, New Mexico’s largest source of electricity is coal. Coal contributes over 60% of New Mexico’s electricity generation, followed by natural gas at over 30%. Renewables is just over 6%. Yes it is true that New Mexico supplies electricity to neighbouring states, but it is all still down to the economics. They generate more electricity in New Mexico than demand requires, so it makes absolute economic sense to sell the excess electricity, especially generated from renewables to other states, where they will most likely be able to maximize price. And for the local electricity needs in New Mexico, the bulk of it is still supplied by coal and natural gas. Victoria Ibezim-Ohaeri: As the old versus new mêlée rages on, the obligation on the Nigerian government and traditional utility operators to satisfy both the capital intensive requirements and regulatory screens will continue to shore up electricity rates, forcing consumers to explore alternative renewable energies such as the solar photovoltaic (PV) systems that are not linked to the grid. What is good about this tension is that it will hasten the transition to low-carbon energy sources, facilitate further market decentralization among the various states and trigger the type of policy innovation that recognizes and pools together the advantages of the various market models and resources.